The “Wrote My Way Out” video was filmed in New York and showcases the city environment in which Miranda grew up. In his lyrics, Miranda takes us back to when he was younger and was beaten up for trying to read. “Wrote My Way Out” brings us the message that success is often the best revenge. Instead, Miranda created The Hamildrops series, launched in December 2017, with the promise to deliver new Hamilton content each month until December ’18. Fans can except a whole year’s worth of Hamilton content with the possibilities of artists who might contribute being endless. 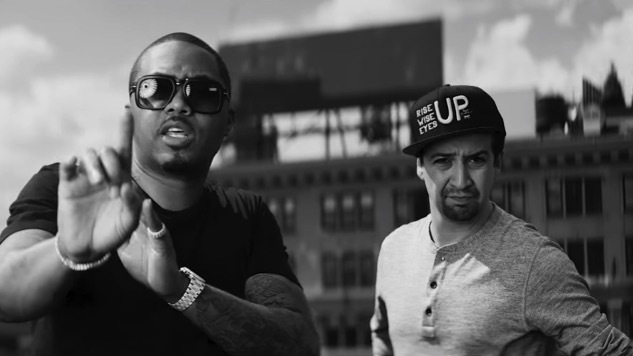 Watch the new Hamildrops music video for “Wrote My Way Out” below, then listen to the series’ debut release, “Ben Franklin’s Song” featuring The Decemberists, right here.